There is a lot of hype surrounding social media and the term “social selling, but what does it mean really? 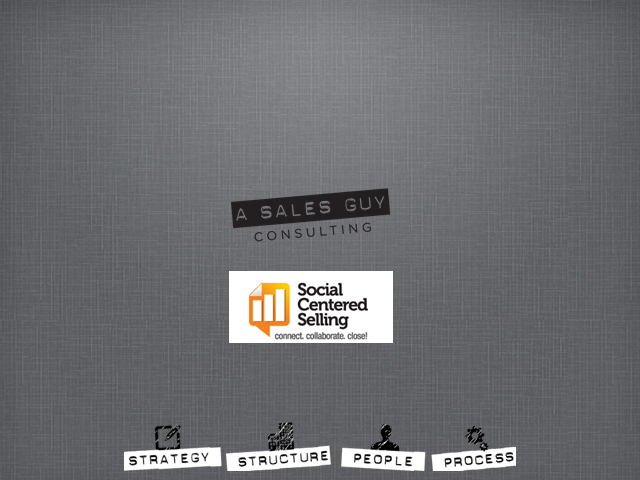 We define Social Selling as the “process” of using social media to; network, prospect, educate, engage, research, collaborate and close deals with the purpose of attaining revenue. Social selling is not merely a set of tactics reliant on one technology platform or even a combination of platforms. Social selling is an approach that requires sales people have great sales and technology skills that they combine with a keen understanding of what today’s buyers want and expect from them all in the name of driving sales. Does an investment in social selling drive revenue . . . ? Session speakers Barb Giamanco and Jim Keenan set out to answer that question and wanted to find if social made a difference where it mattered…in quota. Turns out, the answer is YES! In 2012, 72.6% of sales people using social media outperformed their sales peers. They also exceeded quota 23% more often! · There is a direct correlation between closed deals and social media usage. · The time investment in using social media to sell is not what you think. · How the top social media sites are being used for selling.